What is a Spiritual Coaching Session? A Spiritual Coaching Session is a unique approach that provides intuitive guidance and energy balancing from your Spirit Guides and Angels with practical coaching strategies and techniques to help you incorporate this guidance into your life. The focus is to empower you to understand your life and relationships from a spiritual perspective, to restore balance and well-being to your entire system, and to help you actively participate in your own growth and development. If needed, intuitive healing may also be provided. Sessions are conducted by phone or via Skype. In person sessions may be available in Northeast Ohio (Hinckley) or at other locations when we are in the area. We travel frequently, so please indicate when requesting a session that you would like an in person session and we will let you know our availability. 1. Use the PayPal link below to purchase your Spiritual Coaching Session using a credit card, withdrawal from a bank account or PayPal account. 2. We will be in touch to set up your appointment usually within 24 hours of payment being received. 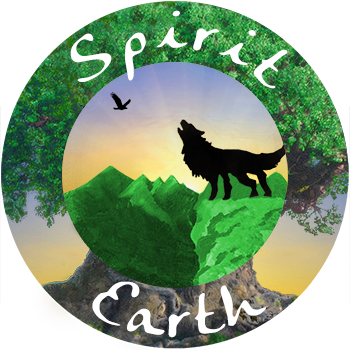 Please note: By purchasing a product, service or membership or participating in a promotional event with Spirit Earth Coaches you are agreeing to the terms of the INFORMED CONSENT. Please provide 24 hours notice for cancellations. Thank you for respecting our time! Payment must be received prior to the appointment. Coaching packages are offered for those interested in ongoing coaching support. Coaching packages can be used for spiritual life coaching sessions, workshops, or energy healing sessions. Mentoring retreats are not included as they are already at a discounted price. For example, if you purchase $400 worth of coaching for $320, you might use the funds to do four one hour coaching sessions or to do one full day workshop, a one hour energy healing session, and two one hour coaching sessions during the 30 days. You can also purchase a Coaching Package Mentoring Add On. This offers ongoing coaching support through the 30 day period beginning with a mentoring plan to establish your goals and a timeline for sessions. It also offers a weekly check in by email and text support between sessions if needed. The mentoring package also offers an additional 15-30 minutes of coaching time to set up your plan and to review at the end of the 30 days. Coaching packages funds need to be used within 30 days from the date of purchase. Is a phone spiritual coaching session as effective as an in-person session? YES! We are able to access information energetically, spiritually, and through our intuitive gifts so distance is not a detriment. Do I need to have a particular religious affiliation to participate in a spiritual coaching session? No. Our personal belief is that there are many paths to God (and that God has many names!). We may speak of Christ consciousness, God/Creator and the Angels during the opening prayer or as part of the session. For those who are not comfortable with this reference, we recommend that you simply insert the highest Divine source you personally invoke for the call. Do you offer a sliding scale for coaching services? We understand that sometimes when you are struggling, resources may be limited. For that reason, we try to work with people to come up with alternative payment schedules, reduced fees, or offer scholarships when we have money available through our coaching fund. Please use the contact form to get in touch and we will discuss coaching options.